Our Department has instituted a Strategic Plan to help define the THPO’s mission and capture the goals of each individual Section and the department as a whole. The Strategic Plan also supports how resources are allocated throughout the year in order to achieve these goals. Our departmental managerial staff sit down twice a year for a Strategic Planning meeting to give updates on the status of current goals and objectives and to brainstorm, collaborate, and develop new short, mid, and long term goals for the future. 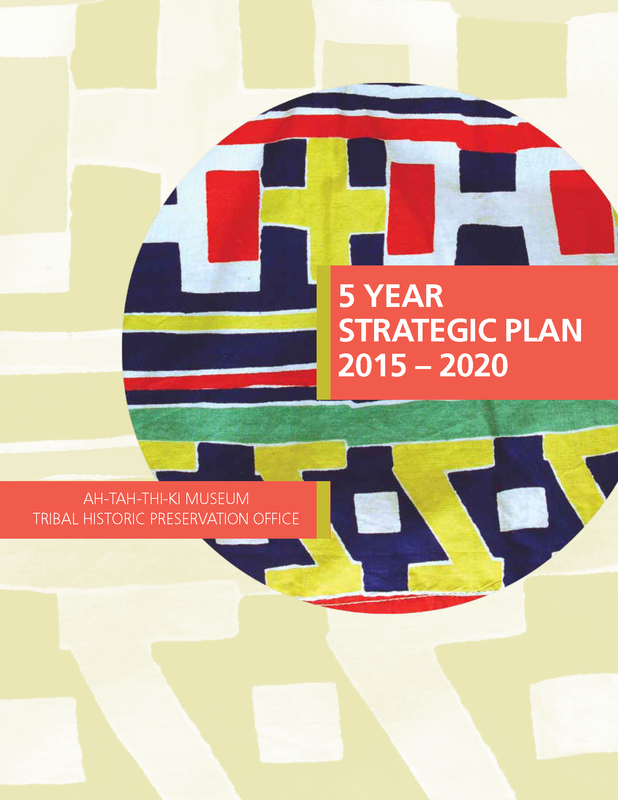 In 2014, staff developed a 5 Year Strategic Plan as a way to better plan for the future of the THPO and Museum. Explore our GOALS for 2015-2020! In 2014, our Department set out to develop a document to take us further than where we are right now. The Plan contains a unified vision for the Tribal Historic Preservation Office and Ah-Tah-Thi-Ki Museum to serve the Seminole Tribe of Florida and integrate everything we do with the goals and aspirations of Seminole Tribal communities.